You’ve finally made the decision to pass down a part of your wealth to your scion. While this may have been your move to reduce the amount of your taxable estate, there is one more tax, called ‘gift tax’, that will keep looming over, and you will eventually have to pay it. Sounds inept? Read ahead, to know more about a few facts of taxation Singapore. The Inland Revenue Authority of Singapore (IRAS) has put forth a set of rules for gift tax, which you need to abide by when you are an employer. If you are giving gifts to employers on Festive occasions such as Chinese New Year, Hari Raya, Deepavali and Christmas, and the monetary value of gifts is not substantial, then they are not taxed. In other words, the exemption threshold is S$200, as per taxation Singapore. 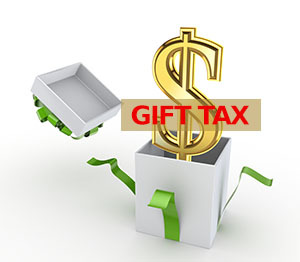 If the monetary value of the gift exceeds S$200, then the full value becomes taxable. For example, if the value of a single gift is around S$300, the entire amount becomes taxable, but if an employee is given many individual gifts of value S$100, S$150, S$180 and so on until below S$200, the employer will not be charged a tax. Prior to the year of assessment which was 2008, according to the Singapore taxation rules, the exemption threshold was S$100. It is with effect 2008; the exemption threshold got increased to S$200. There are special cases such as in bereavement or when sending condolence tokens, the employer will not be charged a gift tax. There is one more aspect called as stamp duty, which applies to ‘transfer of immovable property by way of gift’ and ‘transfer of shares by way of gift’. For property, there are two instances in which stamp duty rates apply. Firstly, when a property gets transferred to another person and no consideration is paid to the owner. Secondly, when the property gets distributed without any Will, Intestate Succession Act or Muslim Law of Inheritance. If you buy or acquire a residential property which includes residential land on or after 8 December 2011, you may have to pay Buyer’s stamp Duty (BSD). According to IRAS, after 22nd February 2014, 1% has to be paid as stamp duty on the first S$ 180,000 of the market value of the property. After which, 2% on the next S$180,000 gets charged and 3% on the remainder amount is charged. For transfer of shares by way of gift, according to IRAS, after 22nd February 2014, 0.2% of the purchase price or market value of shares needs to be paid as stamp duty. Audit checks will be conducted on all documents relating to transfer of gifts, be it property or shares. If the property is under-valued, the documents are misleading or if you have underpaid, you’ll be imposed penalties, and the remaining amount of tax, will be recovered. Therefore, it is always advisable to stay current and never miss on any taxes. It is also equally important to keep all the documents related to gift transfers up-to-date.